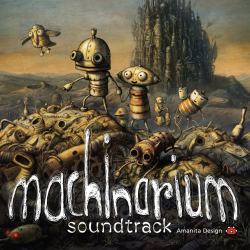 MP3 soundtrack for Machinarium, included as a digital download along with the game. Also available as a standalone purchase in MP3 or FLAC through ithinkmusic. Written and produced by Tomas Dvorak, except "Prague Radio" song written by Vojtech Zelinsky.